The Italian Financial Transaction Tax (FTT) or the ‘Tobin Tax’ is a newly founded domestic tax on certain financial transactions executed from 1 March 2013 and other relevant transactions from 1 July 2013. Italy’s change to its domestic tax is part of a wider European proposal made up of 11 European Union nations including France, Spain and Germany. The European Commission expects to raise around £29.4bn as a result of the levy and proposal hopes to be enforced throughout Europe by 2014. The tax will impact certain shares and bonds between financial institutions, charging 0.12% against the exchange of such transactions as well as 0.01% across derivative contracts. Any of these exchanges will be taxable, even if just one financial institution resides in one of the 11 EU FTT member states. Transfer of shares and PFIs issued by Italian resident individuals and entities, including conversion bonds. Newly issued shares are currently exempt from FTT as well as bonds, quotas and fund units. Additional exclusions may be enforced with a subsequent ministerial decree. Transfer of additional instruments which represent the same Shares and PFIs such as American Depositary Receipts (ADRs). Transactions which rely upon the value of one or more Shares and PFIs and other derivative financial instruments. Cash or physically settled derivative transactions with a main underlying asset such as Shares or PFIs. The purchase or sale of these Shares or PFIs using any other transaction security or transactions which allow cash regulations based on the above Shares, for example equity-setlled derivatives. Covered warrants, warrants and certificates included. Everyday financial transactions between citizens and businesses or financial institutions such as loans, insurance, deposits and payments. Refinancing transactions with central banks and the European Central Bank, the European Financial Stability Facility and the European Stability Mechanism. Since the levy was first proposed in January, it has faced fierce opposition and disagreements which may result in the original plans to be rolled out more slowly than scheduled. The British Government immediately decided to veto the levy on the grounds that it would threaten the British banking system and growth within the City of London by encouraging traders to move overseas. The Italian Financial Transaction Tax has also come under scrutiny since its financial minister released its crucial decree. One concern, made by financial intermediaries, has been the timing of the decree. They say that the proposal has left them insufficient time to update their software to meet the new requirements. However, the majority of distress is focused upon the financial markets as a whole. Those involved with the FTT in Italy claim that these measures are likely to penalise the Italian Financial Market, putting more strain on the economy which has already suffered from political unrest and economic recessions. Due to these rows throughout Europe, the 11 member splinter group are now said to be considering the FTT levy by imposing the measures solely on shares in 2014 and incorporating bonds into the tax rate by 2016. Due to their links with the London Stock Exchange and their established work with financial transactions, we recommend using Una Vista as a resource during these uncertain times. One of the most important tasks to be completed in the process of setting up a business is making sure that the registration and paperwork are correct as far as taxation is concerned. Creating this basic foundation for financial planning is necessary to prevent nasty surprises further down the road, and yet it is surprising how many small businesses can make mistakes when getting the essentials into place. For the various administrative authorities, the correct completion of the necessary paperwork for taxation purposes is probably the most important dimension for small businesses. Unless particular licences are required, including for alcohol sales or construction work, it is the initial registration of the business and the annual tax assessment that are most carefully examined from an administrative point of view. For this reason alone, it is important for business owners to understand the implications of the current tax regulations. The initial building block for the administration of a new company is the registration process. This defines the type and size of the company and therefore also the tax liabilities of the company. In the simplest small business, if an individual registers as a self-employed sole trader, then they become responsible for their own tax and national insurance. This requires business records and an annual taxation self-assessment, as does operation as an independent contractor. Partnerships require additional special tax return forms from HM Revenue and Customs. Most services and goods are also potentially liable for value added tax (VAT), and registration for VAT is obligatory if annual turnover rises above a threshold value (currently £79,000). If the registration is as a limited company, or if employees are hired, then further paperwork will be required for annual returns and PAYE. Good business records, covering all income and all expenditure, are essential for the smooth running of any business. 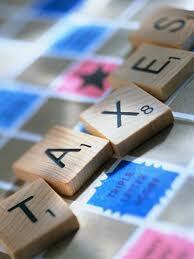 Good records can also support any claims for tax relief, to the benefit of the business. Records do not need to be over-complicated, and a small business with very few transactions per month can keep records on a single-entry accounting basis. This means simply recording the money in, with any VAT amount, the money out, with any VAT amount, and the respective totals. The column totals for VAT will be used to calculate the VAT liability of the business, and so it is important not to spend the revenue gathered from VAT. Instead, this money can be kept in a business bank account, where it is readily available for payment to the tax authorities upon demand. Similarly, an estimate of the expected annual self-assessment can be made at the beginning of the business year, and the amount of income tax and national insurance indicated on this can be put aside in the business bank account as the income is earned through the year. This means that when tax payment is due, the funds have already been earmarked and saved for this purpose. 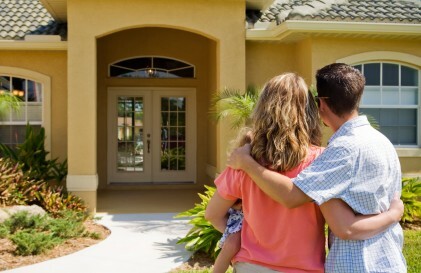 Buying your first home is a daunting step, for sure. To go about it the right way you need to be organised and to get to know the housing market like the back of your own hand. You will save money and save yourself stress too. There isn’t a straight forward way to find out if the area you’re looking at is a great place to live. You will probably have to invest some time finding out if the amenities you need are nearby, if the area is somewhere you will feel safe living, and if you’re thinking about starting a family – is the area in the catchment of a good local school? This issue is notorious in the UK. Local education authorities (LEAs) allocate school placement via postcode and not in terms of how close you live to the school. The old days of pounding the pavements of various estate agents to find your ideal properties are over – at least until you find a place you’re interested in and then begin the face-to-face negotiations. Check out the website of every agent that deals in property in the area you want to buy. Arming yourself with all of this information will work to your advantage. Be careful that the information you’re looking at is up-to-date however. You don’t want to get your heart set on an expired property listing! Don’t worry, it’s happened to all of us. Figuring out how much tax you actually owe and if you’re due any kind of rebate can be a minefield at the best of times. This is particularly complicated as an issue for the self-employed. Those who work in the construction industry, for example, can find it difficult to find substantial and complete advice on their tax entitlements. 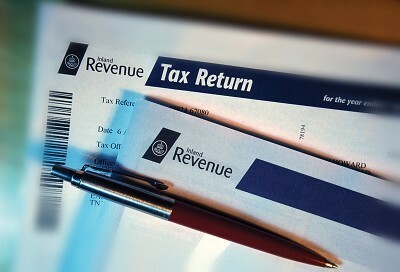 Advice on cis tax refunds with RIFT (http://www.riftuk.com/CIS.aspx) is a good place to get full and impartial advice. Even if you follow every rule in the book to a tee, buying your first home is very much a learn-as-you-go type of experience and there’s no way to ‘practice’ ahead of time. Along the way, you’ll pick up wisdom that’s unique to the experience of buying a property like yours. Then you can pass on what you’ve learned to the new property newbie. Is Getting A Tax Refund Worth It? Tax time is coming, and if you haven’t done your taxes yet — you definitely need to get on the ball! Some people tend to wait until the last minute, even if they know that they’re getting a refund. A refund is simply an overpayment from the IRS, and that ultimately means that you simply paid too much into the system. Do you really want to give the IRS an interest-free loan? They’re not your friend, so there’s no need to be friendly to them. On the other hand, there’s no need to act like you’re an enemy — the IRS has a way of dealing with enemies, and it’s not fun. You just need to think about how you will handle your taxes. 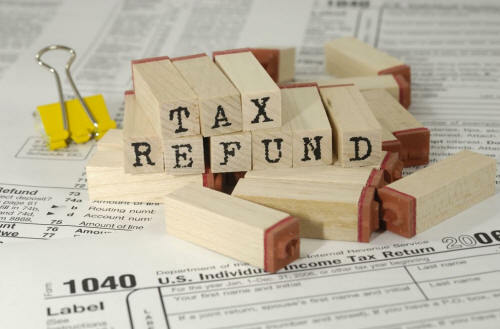 There is a debate going on right now in the finance world that simply boils down to one question: is getting a tax refund worth it? These days, many people are weighing in on both sides. Here’s what you need to know. The people who say that you should get a tax refund are primarily looking at all of the things that you will be able to do with the money. Generally speaking, this is usually the time of year where people buy a lot of impulse and luxury times with their tax refund. If you’ve been dying to buy a new car, you will have to use your tax refund as a down payment — or if it’s large enough, the whole thing to buy the car. Some people decide that they’re ready to move, and hence go ahead and move with their new tax refund. The problem with all of this is that it’s focused on things in the short term. Impulse and luxury times won’t always be long term items, and that means that another year will pass and there will be other things that catch your interest. If you only think about what you can out of the deal, you will not be growing your financial future properly. It’s a lot smarter and easier to think about your financial goals, and then take most of the tax refund and put it towards those goals. This can mean anything from the retirement account all the way up to making a charitable donation. Either way, these events will help you during tax time. Now, you do have the other side that believes a tax refund is grossly unnecessary. It’s better to take that money and put it towards next year’s actual taxes — that will take the sting out of them. After all, you’ve gone 12 months without the money, so it’s not like you need the money in order to maintain your status of living. However, people counter these points by saying that for a lot of middle-to-low income families, that tax refund is a time where things get better. Food and other day to day expenses can be bought in larger quantities, which means that the family can stretch things out during more lean and harsh times. It’s just a matter of looking where your family is and devising a way to get things back on track in a way that doesn’t have anyone feeling deprived. When you feel like you can’t spend money, you tend to go overboard when you finally get money. If you stop and think about the real things that you and your family want, you might be able to find a compromise. You can always say that you will do a 60/40 split of your tax refund, or you will just use the tax refund for the bills. Paying down credit card debt is a great way to really get the most out of your tax refund, but this isn’t something that a lot of people think about. If you really want a high return on your money, paying down your debt really is the best way to go. Overall, there are a lot of arguments on both sides of the coin. We think that a tax refund is definitely worth it if and only if you already have a plan in place to use the money. After you file your taxes, you generally have to wait about 2-3 weeks to receive your refund via direct deposit — why not use that time to really sit down and think about your wants, needs, dreams, and goals? You’ll be glad that you did! Just got your tax refund money back? Chances are good that you’re pretty excited to go out and spend that money. Unless you’re living under a rock, you know that tax refund time is usually when people really go out and spend money. Yet the question remains: should you really be part of that? The truth is that you will need to be a little more selective about your money. Building financial goals with your tax refund is possible, but you will need to make sure that you figure out what to actually do with your tax refund. Not sure what to do? Well, here are a few suggestions. If you’re expecting a lot of money, there’s nothing like putting it away for a rainy day. A lot of people don’t think about this, but when you have an emergency your credit cards are the first thing that you tap. An emergency fund makes it easier to avoid tapping your credit cards. You don’t have to contribute the entire tax refund check to the emergency fund, but the more you can put away, the better your emergency fund will grow. It’s one thing to put your money into a conservative savings account, but what about when you want your money to grow? You shouldn’t try to tap the savings account well if you want this to happen. You need to put the money into a mutual fund or an annuity that’s part of a 401(k). Planning for retirement is just as important as planning for a rainy day. If you do nothing else for the future, you should definitely try to take care of the present. This is where paying for credit cards and other things definitely come in handy. The last thing that you will want to do is end up not having your credit cards taken care of. If you’re not cautious, debt can really overwhelm you. You will need to make sure that you really think about paying off your credit cards, or at least part of them. This will in turn lower the total balance that you owe, which should make your monthly payments a lot less. Notice the order of these things — it is actually more important for you to contribute to your own retirement than it is for you to actually contribute to your children’s college savings. This is because your kids can always qualify for grants, loans, and scholarships. You don’t have this type of protection if you were to retire tomorrow, so keep this in mind. You have some different options, depending on how far away college is. If you need the money right away, you will need to make sure that you turn to a lot more liquid options like money market accounts and even T-bills. However, if you have a long time away from when your child will enter college, you might want to go with a more aggressive mutual fund trust that has a mix of stocks and bonds. Now, it might seem like none of these five things are really fun, or even fair for that matter. However, life isn’t always fun and you have to make sure that you really think about it from start to finish. You don’t want to always think about pleasure when it’s time to take hold of your family’s financial future. If you really focus on the tips offered in this guide, you and your family should definitely see some serious gains in your financial future! When Is Hiring a Tax Preparer Appropriate? Tax time is here, and if you aren’t cheering, it’s probably because you’re thinking about the mountain of paperwork that you need just to file the return. Most people don’t realize how much paperwork is involved in doing their own taxes until they actually sit down and do them. This can be pretty stressful and take up a lot of time. However, this is the season where tax preparation services go wild with trying to get people in the door. Form advertising low prices all the way up to letting you know how thorough the returns are handled; it’s no secret that they want your business. However, should you give it to them? And if so, when is it really appropriate to get a tax preparer? Let’s go through a few terms first. Not all tax preparers are created equal, and it shows through their experience as well as their rates. Does a holding company take their taxes down to the local tax prep franchise? Not if they really want a good job. Now, that might seem like a knock against all of the great tax preparers doing work at an H&R block, a Liberty Tax service, or even a Jackson Hewitt, but the truth is that you really need to have a CPA looking over super complicated tax cases. It’s your money, and it’s your business. However, if you don’t have that complex of a situation — some employee income, a few dependents, and maybe a home — you can take your taxes to the franchises listed above. You can also do them online, but if you know that you won’t have time to devote to it, it’s better to hold off than to dive in and make some key mistakes that could really cost you. A good tax preparer should be something that you really think about. Again, this is the person that’s going to be handling some pretty sensitive information about you, and doing it in a way that either maximizes your refund (good) or lowers your tax liability (equally good, if not better.) If you have time to really shop for a tax preparer, you should take it and use that time to ask tough questions. How do they handle audits? Do they offer any support for that? What are their hours of availability? Can you come back and ask questions? Do they handle amended returns if you’ve overlooked something? You also need to ask whether or not you’ll have to stay there while the taxes are being prepared. Some services tout the ability on your part to leave, while other services expect you to set up an appointment where you can stay in case the preparer needs to ask you something. These are all great questions to ask, and you should definitely make sure that you get answers. Be wary of any tax preparer that says how much money to the penny they can get you — this is a sign of bad things to come. They could cheat and cut corners that would eventually cost you a lot of money in the long run. These mistakes cost you big money, and the way these services are set up…liability can be very slim, and often none. It depends on the fine print that you signed before the preparation was started. In addition, you will need to most likely be firm with the tax preparer, especially if they’re part of a greater franchise. The rise of refund anticipation loans is pretty strong, and a lot of people find them a good thing. However, if you really want to cut down on your fees, it’s better to just wait until your returns come back the natural way. Returns are direct deposited faster than ever, which means that you could get your refund within 8-12 days rather than the 4 weeks that it used to take in the past. Of course, you should also be wary of any tax preparation service that tells you exactly when your refund will be deposited. It varies from year to year, and it depends on the volume of returns processed by the IRS. Keep this in mind, and you should have no problems in the future. So, when is hiring a tax preparer appropriate? In a nutshell, it’s appropriate when you want convenience, when you want a more thorough job than what you can provide, or when you really want to just get the whole process over with. After all, only accountants and tax lawyers seem to look forward to taxes, and even then the jury’s still out on the exact numbers — good luck! Can a CPA Handle Your Regular Taxes Too? Tax season is definitely upon us, and if there’s one thing that everyone needs to know, it’s this: the IRS is watching you. Now, if you’re already taking care of your tax obligations as you know that you should, then there’s really nothing to worry about. However, there are a lot of people out there that really aren’t paying their fair share in taxes, and those are the people that the IRS is looking for. Even if you are taking some new deductions, you might need to make sure that you’re doing them properly. Where does the average taxpayer go to make sure that they really get he care and consideration that they deserve? Well, you might think that you should go to one of those franchise offices of the major tax preparation chains. The truth is that these chains tend to get you in and out of the door as fast as possible, without really making sure that your tax return is as correct as it can be, and that you have all of your deductions properly taken. The better approach then is to go with a CPA. CPA simply stands for Certified Public Accountant, and they are qualified to do your regular taxes, not just business taxes. Tax law is something that forms the backbone of an accountants’ time, since it will be very important to make sure that their clients pay their fair share in taxes. You don’t want to dismiss the idea of having a CPA do your taxes, even if you’re not running a business. The best people to actually consider a CPA are business owners, followed by high ranking professionals like doctors, lawyers, and investors. These are people that not only have high incomes, but they most likely work with securities and other items that need to be listed carefully on a tax return. Rushing through a tax return will only increase the chances that you will miss out on a deduction that you really need to have. The more complicated your return is, the more you need to have a CPA in your corner. 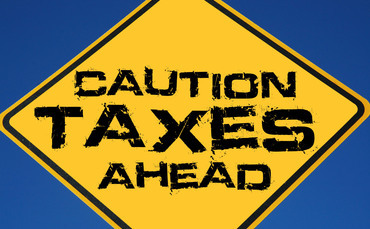 They can become your advocate in ways that the average tax preparer just can’t. If you find that you are going to become self employed, a CPA definitely pays off. Not only can they do your taxes, but they can actually certify that you really do make the type of money that you claim to make. This is something that can be problematic for self employed people to deal with, especially when they have to apply for an apartment or even a home loan for a house. It’s really a matter of making sure that you really think about things from every angle, especially if you’re going to spend good money on a CPA. That’s right — a CPA will cost much more than a tax preparer, but they will be much more thorough. Some deductions will be looked at warily, while other deductions will be brought to your attention. Believe it or not, the IRS lets you still keep a lot of your income, especially if you have children. While you still need to make sure that you’re paying your taxes, you shouldn’t find taxes the end of the world. If you’re running a business, think of it this way — it’s better to have income to pay taxes on than a loss that will affect your family’s future. All things considered, a CPA can take care of all your tax needs — as long as you need them, of course. With the points in this guide, you shouldn’t think twice about hiring a CPA to take care of your taxes.